Gilead – You must read it. Best book I’ve read in a long time! Rosie – Not a fan of this one, but I plan to try some more recent work of Lamott’s. The Grapes of Wrath – Very raw and uncouth, and also deep and masterful. Just not my cup of tea. The Signature of All Things – Abandoned halfway through. Eesh. If you liked it, I think we can still be friends, but let’s not talk about this book. 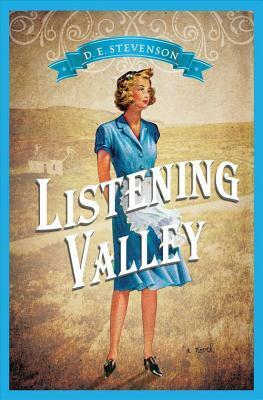 Listening Valley – This wasn’t on my list, but I needed a comfortable, reassuring read after three book busts, so I turned to my beloved D.E. Stevenson. This is a cozy sort of book to curl up with on a foul weather day. Fans of L.M. Montgomery or Jan Karon will love it. Lila – I read this book on the heels of Gilead, and it was so totally different from what I expected! It was awesome, though. It will have its own review soon. Shepherding a Child’s Heart – I really enjoyed the perspective of the first half of the book, but didn’t get much out of the second half that dealt with the method this particular author employs in child rearing. 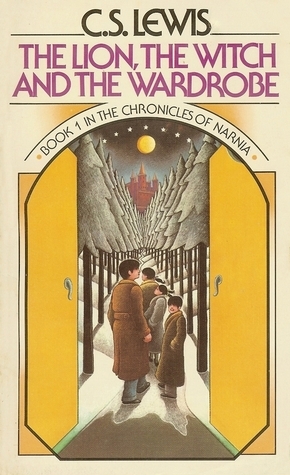 For The Children’s Sake – I loved this book. It will receive its own review soon. The Fitting Room – This was a much lighter read than I expected, but still pretty good. Women of all ages can glean great wisdom from it, but it would be especially perfect to study with a group of teenage girls. Yes Please – I am not funny enough to appreciate this book. If you like SNL or Tina Fey’s Bossypants, you might like this one. However, I would venture to say that Poehler just isn’t a writer. She even admits in the book that she is “better in the room.” I concur. Bread and Wine – A stunning book. It’s changing my entire view of hospitality. I say “changing” because I read it through and reviewed it, but I keep going back to read parts and review the recipes. I’ve made two and they were both delightful. Organized Simplicity – I think I’ll need to come back to this book in the future, when I can handle all the very useful checklists and strategies. Right now, I just need to get through the mess that is the Holidays. It’s the best possible kind of mess! But a mess still. Wow. I read more nonfiction than fiction in the last few months. Ladies and gentlemen, that is a first! I feel so smart and boring. Maybe I can remedy that in my Winter Reading List. Speaking of, The Winter Reading List is shaping up and will be posted soon! What’s on your list? I’ve been thinking a lot about memoirs lately. Memoirs, by definition, are simply an account of personal experience. And they are growing in popularity. Some memoirs share little known worlds, such as Frank McCourt’s Irish village in Angela’s Ashes, which was published in the 1990s and opened the flood gates for the waves of memoirs we see now. (If you’re wondering what the difference is between a memoir and an autobiography, they can be exactly the same. 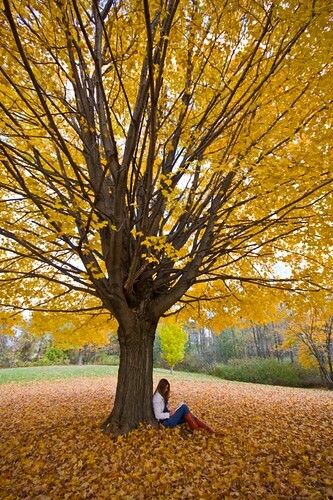 However, a memoir can also focus on just one aspect or phase in a person’s life). Some share unique perspectives on common life experiences, like mothering or losing a lot of weight. Some are funny, some are tragic. Actually, a lot of them are tragic. This idea that there is treasure in the blackest circumstances, that strength can be built into people as they struggle, that hardships are creating perfection, is a pretty darn old idea. In fact, it’s in the Bible. But I don’t think Walls was making a biblical reference. I think she was summarizing what the rush for memoirs is all about: people want something good to come out of the bad in life. Even if it’s just by reading a memoir that proves the human spirit can overcome, people have an innate desire for their experiences to be meaningful, or at least shared. Memoirs can do that. They can make the writer feel like they’re encouraging people, or bringing to light a neglected topic. Memoirs can be good. I know there is value in honesty, shared experiences, and exposing ongoing injustices. I’ve been confused by why people are drawn to these hard stories, why I’m reading them, but I’ve come to this: I like to think that reading memoirs about hard times helps me when I find myself in a position that requires me to simply sit with someone else in the dark times and understand their need to share it with someone. So by reading certain memoirs and just experiencing life, we know there is darkness all around and memoirs are often honest accounts of real life that can be enriching or informative. However…as I read memoirs, I start to appreciate more and more those authors that pushed away the darkness and chose to shed light. The truth is there are few authors (or people) who don’t have dark experiences lurking in their pasts. There are certain authors whose work has been so central to my development as a person since childhood, they’re almost like patron saints in my life. (I’m not Catholic- just go with me on this). People like Jane Austen, Louisa May Alcott, C.S. Lewis, L.M. Montgomery, and Frances Hodgson Burnett. These writers wrote beautiful, rich, original works that are full of the joy of living and the magic in every day imagination. I knew their works through and through long before I learned about their lives. I was in shock when I grew up and learned that they lived stories not at all like the books they wrote. Most literature fans know Jane Austen was a poor spinster who never married, and lived under the thumb of her father. Louisa May Alcott could have written a riveting account of her eccentric father’s spartan style of living and raising children. Alcott was poor for most of her life, and at one point as an adult considered suicide. C.S. Lewis’s mother died when he was a child, he had a distant father and grew up in boarding schools, and when he finally found love in life, it was through terminal illness. Frances Hodgson Burnett’s father died when she was three and her family moved around England until they finally left for Tennessee when Burnett was age 15. During their move, Burnett’s usually sympathetic and loving mother made Burnett burn her early writings. And, most disheartening of all to me, L.M. Montgomery struggled with depression and had a mostly loveless marriage. These authors could have chosen to write some very shocking accounts of the brutal reality in this world. But what did they choose to write? They wrote books filled with light. How did these people decide to push aside the darkness around them and bring light through their works? Are we to think that they were just extremely dishonest? That they cause their readers to lose their grip on reality? You’re entitled to that opinion if you want it, but I am extremely thankful that they created exquisite characters and settings. They wrote about older folks who adopt orphans, sisters who are best friends, friendships that turn into pure love, and a Lion who is not safe but good. Maybe their worlds are more fantastic than rFeal, but I don’t think so. I think they chose to focus on the good things. Their books put me in a frame of mind to seek out loveliness in life. God created beauty in this world, and authors can bring that to readers’ attention through words. There is always beauty and ugliness coexisting here. We can ignore the ugly, but we shouldn’t belittle the beauty or scoff at it as if it’s not real. It is real. Sometimes the beauty and the ugly are so tangled, it’s hard to really see. The memoirs I’ve been reading lately do a lot of focusing on the ugly. That can tend to get me down. I’m learning to be thankful for the reminder to share in someone’s darkness and help him or her through hard times, but to keep striving to stand in the light. Some memoirs make it easy to wade around over and over again in our deep and murky waters. Other books are the literary equivalent of keeping the lights on all night and shying away from any trace of shadow. As readers, we are able to take in both kinds of books and all the ones in between. We read, and we are able to see both the beauty and pain, light and darkness, funny and tragic, and accept that it is all real and present around us. Acknowledge the darkness, but shed light. That’s what memoirs and are teaching me. One Thousand Gifts – Awesome book for everyone. Five stars, and then five more. Our 31 Days of Picture Books have come to an end. Honestly, I thought posting every day would be more of a challenge, but this topic has been one that I live in every day. While there have been some days when I felt like I didn’t have time to write, it turns out I did have time to write at least something. I hope you’ve been able to add some good books to your reading lists for young children, and maybe even add to your knowledge of the value of reading with children. There are some great resources written by actual experts (not just some blogger like me). 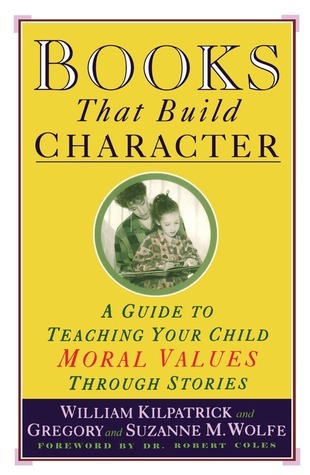 My current favorite is Books That Build Character: A Guide to Teaching Your Child Moral Values Through Stories, by William Kilpatrick and Gregory and Suzanna M. Wolfe. While this title may sound a bit preachy, it’s actually a great place to find books for young people of any stage. It has a list of picture books for young readers and then lists of different genres that are divided by reading level. Every time I look at this book to find good picture books for my family, I find myself turning to the older readers section and adding new books to my own reading list. I highly recommend this book. 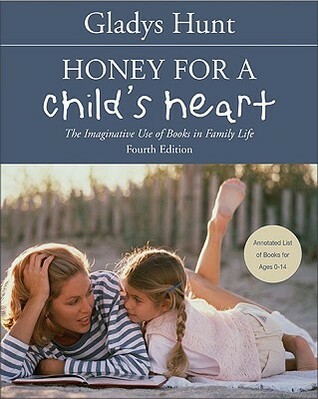 Honey for A Child’s Heart: The Imaginative Use of Books in Family Life by Gladys Hunt is on my to-read list. It focuses on books for children 0-12. I’ve only skimmed it, but I can tell you that there are many illustrations and that Hunt’s reading tastes are broader than Kilpatrick, et al’s. Hunt includes classics as well as more modern books on her reading lists. As I haven’t read over the lists in detail, I can’t tell you if I agree with them as much as I do with the lists in Books That Build Character. I will still be giving these books a try, and hoping some of them are short enough for very young listeners. Many of the books listed in Books That Build Character are more for ages five and up. 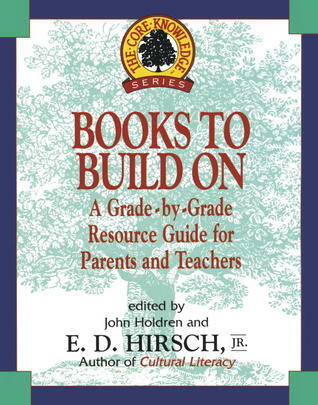 And since I’m planning on homeschooling my children when they reach school age, I’ll definitely be reading Books to Build On: A Grade By Grade Resource Guide For Parents and Teachers. I don’t buy into the core curriculum idea–that every child should be taught the same thing decided by the government–but the idea for core knowledge stems from a sensible thought that there are just some things everyone needs to know. One of the reasons we choose to start out homeschooling is because we know all children are different: some children will enjoy math, some children will want to spend lots of time on music, and we will have the freedom to develop their areas of interest and talents. We will still want to make sure their minds are grasping concepts in all areas of education, and I think this book will help me think of ways to focus on subjects that aren’t my children’s favorite (or maybe not my favorite, either! I’m looking at you, Math.). These are some books I plan to use as tools now and in the coming years, but mostly, I’m going to keep letting my children pick out some of their own books and indulging their developing tastes and interests. Reading is pure fun right now, and I want to keep the fun in it for our whole lives. I’ve seen parent-directed reading bring joy and build relationships, and I’ve seen it squash any interest in books. I’m hoping my style of reading with my children brings joy. Thanks for joining me for 31 Days of Picture Books. I plan to continue reviewing picture books and mixing them in with my regular reviews on this blog. The words and the images of picture books have taught me so much over the years. It took this 31 Days topic to make me fully realize how much impact reading in the early years had on my mind. I’m encouraged to keep reading, and I hope you are, too. Apparently, I haven’t taken my own good advice lately, because what I’ve read in the past month has equaled not much. My blogging time has been taken up with the 31 Days of Picture Books and I’ve had a blast with it. I have managed to squeeze in a few adult reads, though. It is 1970 in a small town in California. “Bean” Holladay is twelve and her sister, Liz, is fifteen when their artistic mother, Charlotte, a woman who “found something wrong with every place she ever lived,” takes off to find herself, leaving her girls enough money to last a month or two. When Bean returns from school one day and sees a police car outside the house, she and Liz decide to take the bus to Virginia, where their Uncle Tinsley lives in the decaying mansion that’s been in Charlotte’s family for generations. An impetuous optimist, Bean soon discovers who her father was, and hears many stories about why their mother left Virginia in the first place. Because money is tight, Liz and Bean start babysitting and doing office work for Jerry Maddox, foreman of the mill in town—a big man who bullies his workers, his tenants, his children, and his wife. Bean adores her whip-smart older sister—inventor of word games, reader of Edgar Allan Poe, nonconformist. But when school starts in the fall, it’s Bean who easily adjusts and makes friends, and Liz who becomes increasingly withdrawn. And then something happens to Liz. 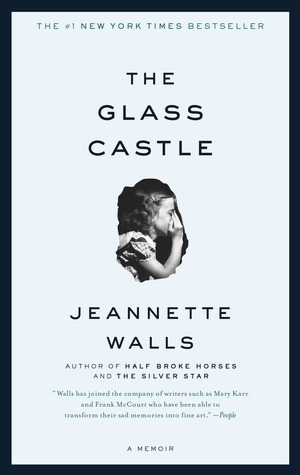 Jeannette Walls, supremely alert to abuse of adult power, has written a deeply moving novel about triumph over adversity and about people who find a way to love each other and the world, despite its flaws and injustices. The Silver Star reminded me of To Kill A Mockingbird because of two child characters, Bean and her cousin, and because of the unfairness of the small town’s judicial system. Though the issues brought up don’t have much to do with race, they have a lot to do with gender and social status equality. I enjoyed the characters, though I thought them a bit to reminiscent of the main characters in The Glass Castle. The book also had that run down mill town feel that is so poignantly portrayed in Richard Russo’s Empire Falls. It’s as if you get a peek into what Empire Falls looked like before everything shut down. Walls does a good job of drawing a reader into her writing by putting flesh on her characters. However, this book was my least favorite of hers because the plot was a tad too predictable. 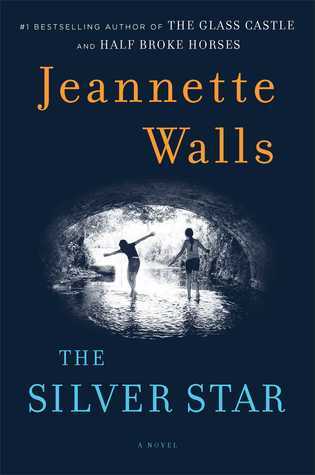 Still, I read it cover to cover in three days and I think most people who like Walls’s work will enjoy The Silver Star. 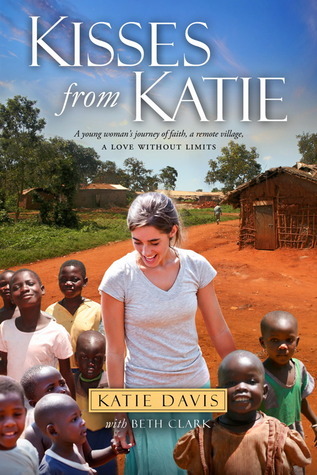 I also read Kisses From Katie as part of my 7 Challenge to learn more about poverty stricken countries. Katie Davis writes about her experiences as a very young woman who goes to Uganda for a few months after graduating from high school and cannot see herself staying away ever again. The book is both heartbreaking and heart-swelling. It’s heartbreaking to not just suspect or vaguely hear about Ugandans’ hardships but to really know what life is like for them. It’s important to know, but it’s heartbreaking. It is heart-swelling to see that one young woman can make so much of a difference if she will stop saying “someone else” and start saying “Me. I will love one person and one more person and bandage one person and one more person and do what I can. Even if it’s never enough, I will do what I can because that’s all I can do and that’s what I must do.” (paraphrase). You must read it, not as a fine piece of literature, but as a bolster for your belief in what one person (read: you) can change if you try. I am so challenged and changed by this book. Finally, I just finished the Young Adult favorite, Alanna: The First Adventure. This book was written in 1983 by Tamora Pierce, but somehow it didn’t show up on my wide book radar until I started this blog and saw it on so many Top Ten Tuesday lists. 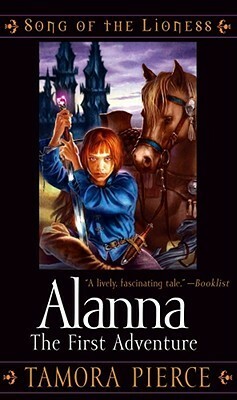 I quickly learned that Alanna is a favorite heroine of many book loving girls. And since my real life name is only one letter away from Alanna, I had to read it for myself. (If your curious about why I go by Mia on this blog, check out the About Me page). I put it on my to-read list and then October came. October is historically a month when I crave a good fantasy adventure book. Last October, I discovered The Hero and The Crown and thoroughly enjoyed it. The year before that, it was Book of A Thousand Days by Shannon Hale. I think I can trace this feeling that Fall means fantasy adventure books back to when I read the Lord of The Rings trilogy in the fall lo those many years ago. But that would be way to nerdy to admit. Anyway, I’m sorry to say that I didn’t love Alanna. I liked it okay, but I’m afraid I missed the boat when I was twelve or thirteen that would have sailed me into Tamora Pierce fandom. But that doesn’t mean I won’t be reading the rest of the series! Because it’s October, and adventurous fantasy stories are akin to October (write that down). Now I’m reading Rump: The True Story of Rumpelstiltskin. So far, it’s much grimmer than I thought it would be. We all know how the fairy tale ends, so I’m hoping there’s some kind of twist that will make this poor boy Rump into a hero after all. Rumpelstiltskin as a character has always unnerved me. I think the writing style of Liesl Shurtlief is very similar to Shannon Hale’s–pointed and carries the story along at a good pace–but I wish it were a wee bit more descriptive. I’m interested to see how the author weaves the brief mentions of other fairy tales into Rumpelstiltskin’s story. Expect a full review soon. How’s your October reading going?